There’s a good reason Anadarko High School girls basketball coach Jeff Zinn describes sophomore guard Lexi Foreman as one of the most versatile players he’s ever coached. 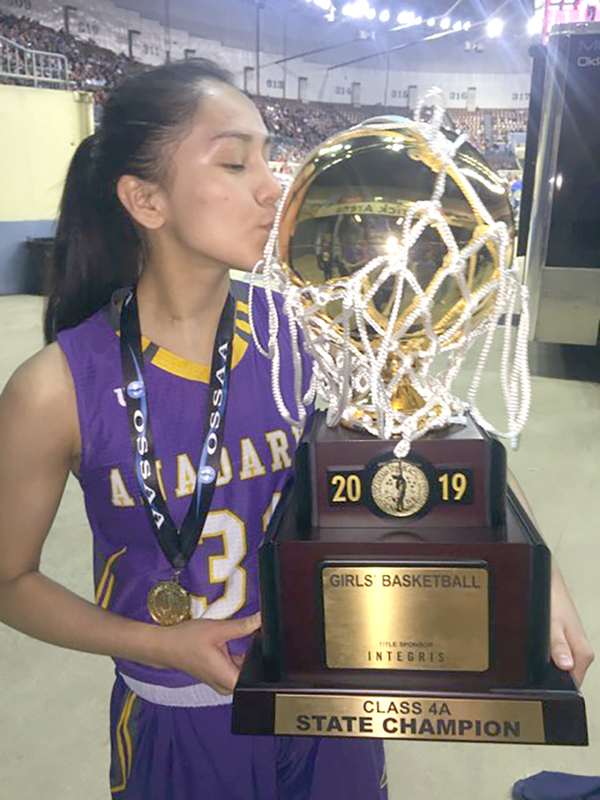 Foreman, daughter of Alicia Josh Foreman and Matt Foreman, recently capped off a memorable season in Oklahoma as she played a key role on Anadarko’s Class 4A state championship team. Contributions from the 5-foot-9 guard came in just about every aspect of the game and at both ends of the floor: first on the team in rebounds and steals, second in assists and third in scoring. Indeed, Anadarko didn’t lose thanks to a career-high 33 points, including six 3-pointers, from Foreman, who also snagged six rebounds in a 69-66 win against Classen SAS on March 1. “We needed every one of her 33 points. She’s always had the ability, but the confidence kicked in,” Zinn said. The victory earned Anadarko a spot in the state tournament where the Lady Warriors knocked off Newcastle by 19 points (Foreman had 11 points and six rebounds) and Victory Christian by 14 points (Foreman had nine points and six rebounds) to set up a championship tilt against undefeated Muldrow on March 9 at the Fairgrounds in Oklahoma City. Playing in a state championship game is where Foreman has wanted to be for a long time. In 14 of its previous 15 games, Muldrow eclipsed the 50-point plateau, including putting up 60-plus in two state tournament games, but Anadarko’s defense, which Foreman said was the biggest reason for the team’s success this year, shut down Muldrow. Anadarko won 55-49. Foreman shined with a team-high 12 points. She also had five steals, five assists and three rebounds. Foreman made the all-tournament team. Her teammate Averi Zinn, one of the coach’s three daughters on the team, was named tournament MVP. The victory wrapped up a 27-3 season for Anadarko. The squad will lose two seniors, but the core of this year’s sophomores, including Foreman, will be back to try to defend its title. 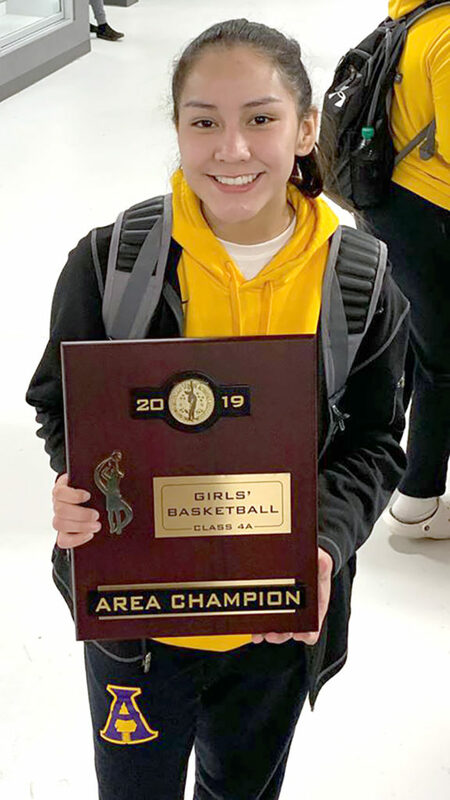 With a state championship now on her resume, Foreman will try to add another title in April when she plans to play for the Seminole Tribe when it hosts tribal teams from Alabama, Mississippi, North Carolina and New York for the NAYO tournament in Hollywood.